New Orleans-based indie musician Mercure announced an agreement between his team and promotion / distribution giant Elevated Minds. On the heels of his full-length debut Beyond Good & Evil, Thomas "Mercure" Hudson will become CEO of Mercure Music, LLC, developing a roster talent from the New Orleans and Chicago areas. "This is the renaissance," said Merc from his Cicero residence. "It's not just the rebirth of the South or a hip-hop sound, but this is the return to real roots music. This is the soul of my generation." Under the term of the agreement, Mercure will receive full-support from the Eupham/EMMG brand in building a future in music licensing and publishing. He is currently prepping the first leg of his promotion tour while mastering his album. The album will feature his talents as a producer, songwriter, and emcee. Highly concept-driven, this debut album has touches of soul, rock, pop, and jazz fused with hip-hop and poetry. 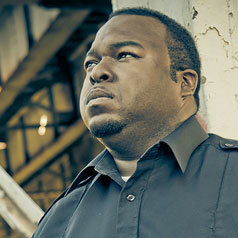 Alvin Jones, CEO, Eupham Multimedia stated, 'I feel like a classic hip-hop album redefines the current state of music. With our first release at Eupham, Mercure's Beyond Good & Evil, I am confident Mercure will do just that. "Beyond Good & Evil is slated for an early 2008 release.